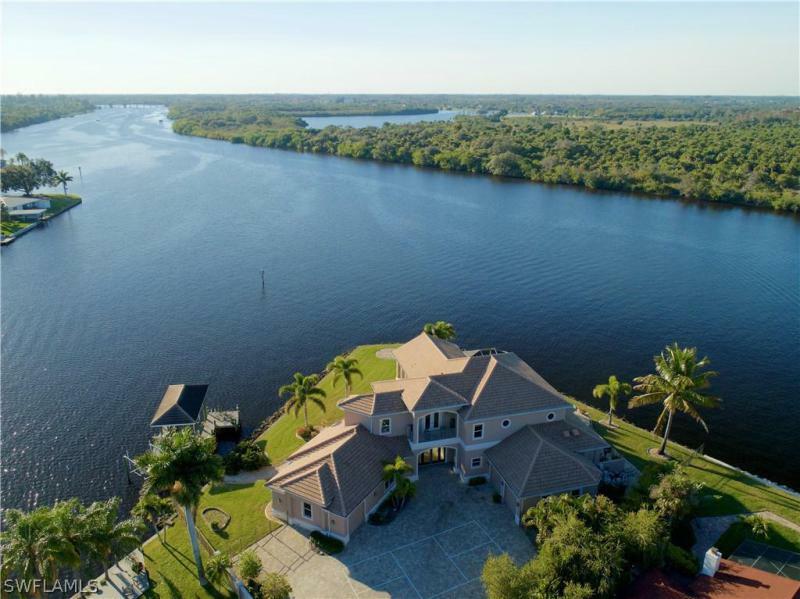 Exciting features with this southwest florida waterfront home. Located in palmetto pointe. One of the areas premier boating communities. Enjoy quick deep water access with this beautiful two-story stylish residence with 3 car garage built by harbourside custom homes. No wasted space with this home! Open spacious kitchen, family/living rooms w/custom built-ins, stone fireplace, high ceilings, lower level master retreat with beautiful bath area, upstairs family media room area, additional inside huge storage areas and more. Enjoy an awesome pool/outdoor living grill area with incredible private preserve/water views. 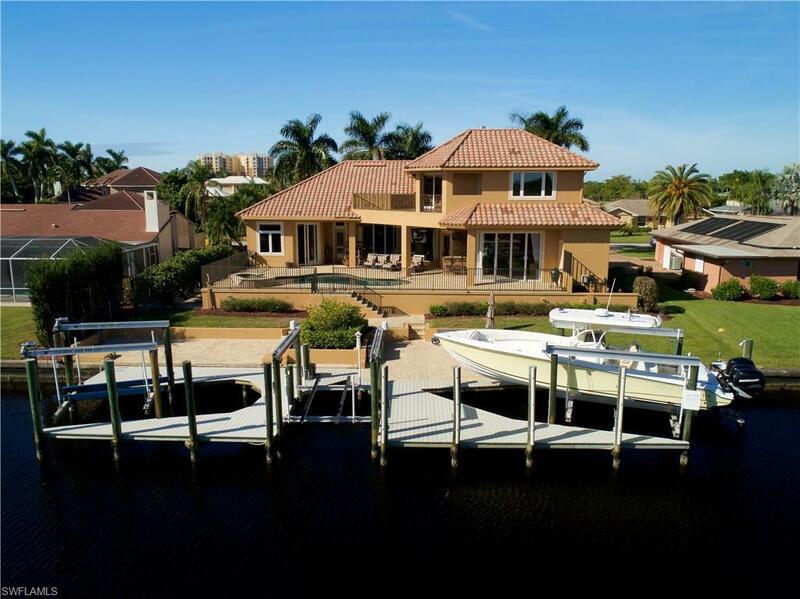 One of the main features is a fantastic dock area w/ three boat lifts that will satisfy any avid sports fisherman. The home is elevated offering extra privacy and protection. 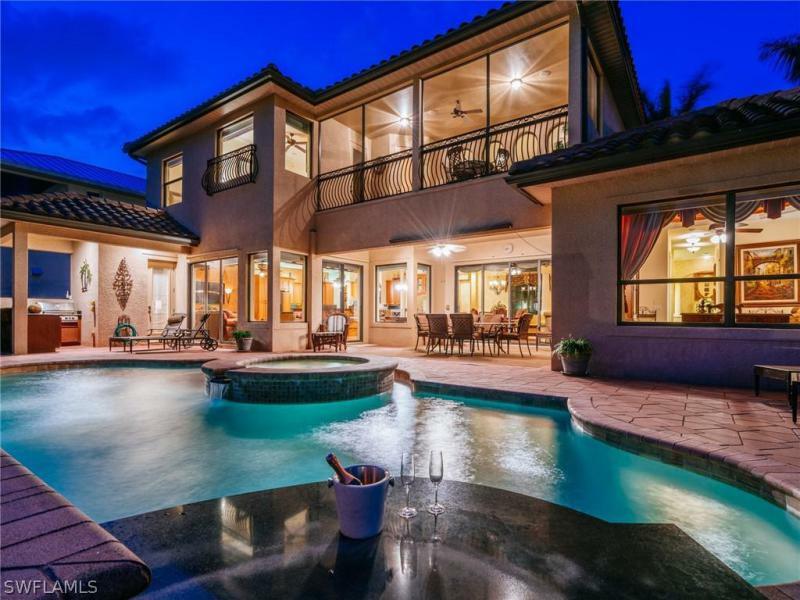 Make memories here with this fantastic home. This tuscany inspired estate home is nestled on 2. 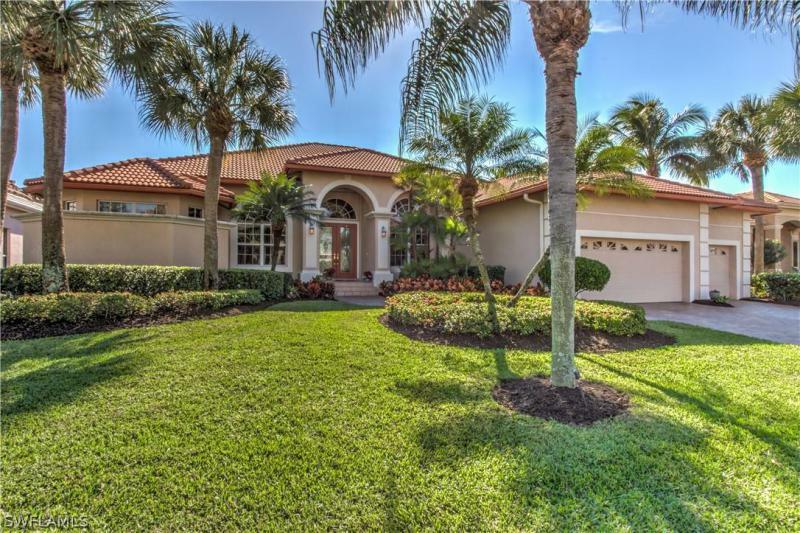 4 acres of lush landscaping and picturesque waterfront views in the amazing community of horse creek. Soaring ceilings create an abundance of space and light in the main living area-with simple yet stunning painted accents & detailed murals surrounding the fireplace. Hardwood floors & designer touches flow throughout the home. Each spacious bedroom has a water view. The master includes a california closet, sitting area, & shower + jacuzzi tub. The kitchen embodies function and entertainment. Thermador appliances, warming oven, granite countertops all become a chef's delight. The private theater room makes great for movie night. Designed with outdoor living a priority, the custom gas heated pool & spa create a tropical paradise-complete with a summer kitchen & spacious sitting areas allowing you to enjoy the water views. Above the 5+car/rv garage sits a billiards room! Additional features include central vac, generator, 400g propane tank, intercom, security system, & 3 ac's. Surround yourself in acres of unspoiled natures! Kayak the waterways, immerse yourself in century old oak trees. Walk miles of private trails. You are now home!